Armstrong Miller provides supply and fit services for Discovery and Range Rover tdv6 or if preferred we can arrange for the Land Rover TDV6 engine to be secured to a pallet and delivered nationwide by courier to your local garage for fitting. 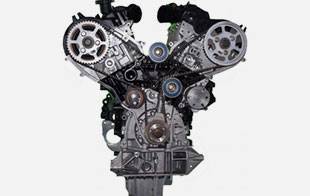 At Armstrong Miller we have seen a couple of problems with the Land Rover TDV6 engines. Firstly a fault with the Land Rover TDV6 engine is the wearing of the big end bearings eventually sticking to the crankshaft and causing the Land Rover TDV6 engine to seize. In some situations the pressure on the crankshaft is so intense it causes it to snap, if this happens then extensive damage is caused to the Land Rover TDV6 engine block resulting in the TDV6 engine being a complete write off and a high replacement engine cost to the client as we cannot work on an engine exchange rate. The 2.7L diesel Land Rovers manufactured between 2005 and 2009 were fitted with the Land Rover 276DT tdv6 engine. At Armstrong Miller our team of professional, experienced engineers has worked on multiple units with the Land Rover TDV6 engine and has the best process of reconditioning the Land Rover 276DT engine. Get in contact with Armstrong Miller today for prices on fully reconditioned, remanufactured and second hand Land Rover engines or services for your existing Land Rover engine. Armstrong Miller strives for excellent service at cheapest online prices so get in contact with our friendly customer service team today.